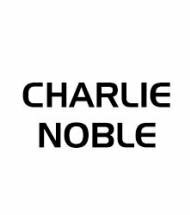 CHARLIE NOBLE PISTACHIO RY4 : PISTACHE, VANILLE, KARAMEL EN LICHTE TABAK DE CHARLIE NOBLE SHAKE N VAPE MOET WORDEN VERDUND MET EEN BASE ( NICOTINEBOOSTER MET EEN NICOTINE STERKTE NAAR KEUZE , OF NICOTINEBOOSTER ZONDER NICOTINE ). DE INHOUD VAN DE SHAKE FLES IS 60 ML. EN IS VOOR 50 ML. MET OVERG..
CHARLIE NOBLE SHELLBACK SLUSH : GESCHAAFT IJS MET MANGO,SINAASAPPEL,ANANAS EN PAPAAJA DE CHARLIE NOBLE SHAKE N VAPE MOET WORDEN VERDUND MET EEN BASE ( NICOTINEBOOSTER MET EEN NICOTINE STERKTE NAAR KEUZE , OF NICOTINEBOOSTER ZONDER NICOTINE ). DE INHOUD VAN DE SHAKE FLES IS 60 ML. EN IS VOOR ..
CHARLIE NOBLE SIREN SONG : ROOM MET AARDBEIEN DE CHARLIE NOBLE SHAKE N VAPE MOET WORDEN VERDUND MET EEN BASE ( NICOTINEBOOSTER MET EEN NICOTINE STERKTE NAAR KEUZE , OF NICOTINEBOOSTER ZONDER NICOTINE ). DE INHOUD VAN DE SHAKE FLES IS 60 ML. EN IS VOOR 50 ML. MET OVERGEAROTIMATISEERDE LIQUID GEVU..
CHARLIE NOBLE STROOPWAFEL : WAFEL MET KARAMEL, BRUINE SUIKER EN KRUIDEN DE CHARLIE NOBLE SHAKE N VAPE MOET WORDEN VERDUND MET EEN BASE ( NICOTINEBOOSTER MET EEN NICOTINE STERKTE NAAR KEUZE , OF NICOTINEBOOSTER ZONDER NICOTINE ). DE INHOUD VAN DE SHAKE FLES IS 60 ML. EN IS VOOR 50 ML. MET OVERGEA..
CHARLIE NOBLE TRIPOLI : TURKSE TABAK MET VIJGEN, AMANDELEN EN ZELDZAME KRUIDEN DE CHARLIE NOBLE SHAKE N VAPE MOET WORDEN VERDUND MET EEN BASE ( NICOTINEBOOSTER MET EEN NICOTINE STERKTE NAAR KEUZE , OF NICOTINEBOOSTER ZONDER NICOTINE ). DE INHOUD VAN DE SHAKE FLES IS 60 ML. EN IS VOOR 50 ML. ME..